The Lake Spivey Road Race is a 5K (3.1 Mile) run/walk or, for the more initiated, a challenging 15K (9.3 Mile) road race in Lake Spivey, Georgia. Both races start and finish at Clayton County International Park. Parking is also at Clayton County International Park. 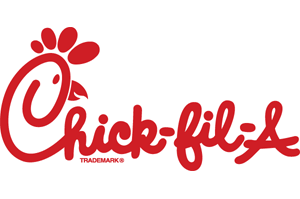 Vehicles will park and register at Clayton County International Park (2300 Highway 138 SE, Jonesboro, GA 30236). 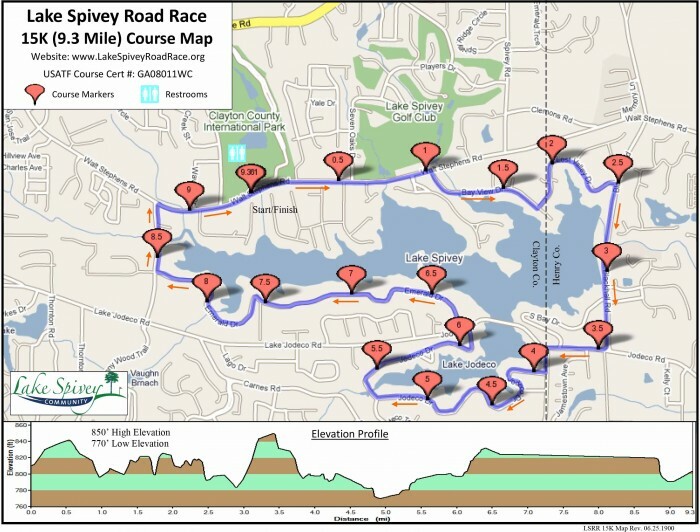 The 15K course winds through the residential neighborhoods surrounding Lake Spivey and Lake Jodeco in a clockwise loop. 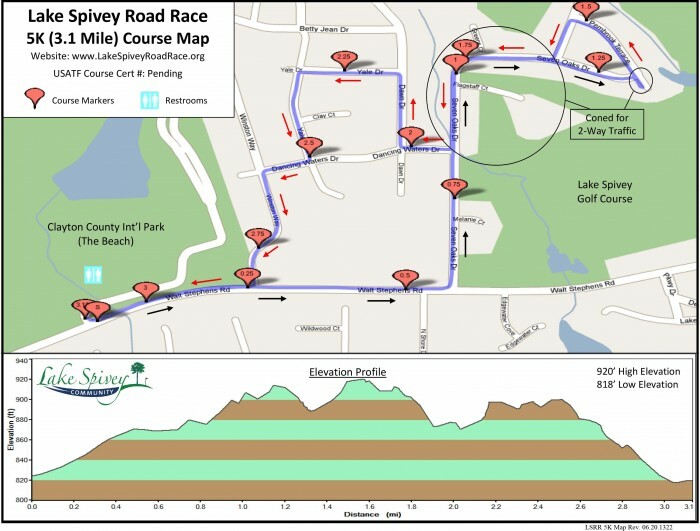 The 5K runners turn left (north) into the Lake Spivey Country Club and Foxfire subdivisions. Runners in both the 15K and 5K return to the park and the race finish line via Walt Stephens Road. All registered runners and walkers will receive a race shirt. (participants who register after 9/30, t-shirt size is not guaranteed) Age group winners and overall Masters winners will receive awards. Lake Spivey Community and Clayton County Parks and Recreation Department are utilize the MyLaps B-Tag timing system on both the 15K and the 5K.